As the situation of energy shortage is becoming more and more serious, more and more people begin discovering new channel to produce new energy resources. So the method of utilizing biomass waste materials to produce resources has gradually appeared in our eyes. 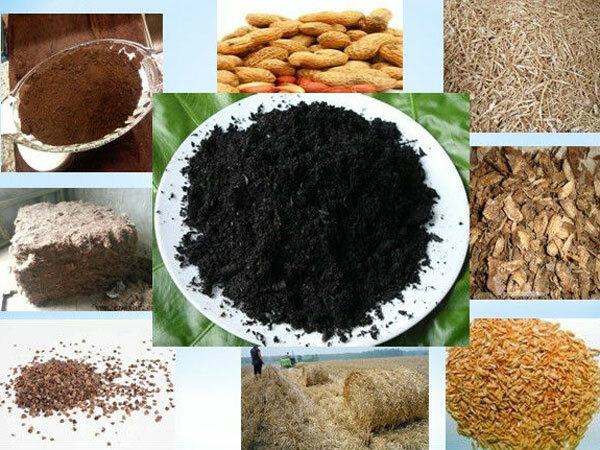 Beston biomass carbonization plant is utilized to produce more precious energy resources from biomass waste materials, such as rice husk, coconut shell, wood, sawdust, straw, palm shell, sugarcane bagasse, bamboo, peanut shell, olive shell, etc. The carbonization of biomass belongs to environmental project. Through the charcoal making process, the biomass waste can be converted into artificial charcoal, with high caloric value and wide applications. 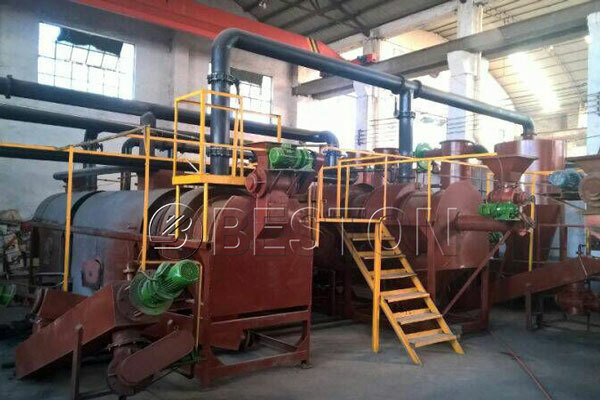 Beston biomass carbonization machine has always kept a dominated status in the international market and has been exported and applied in many countries. 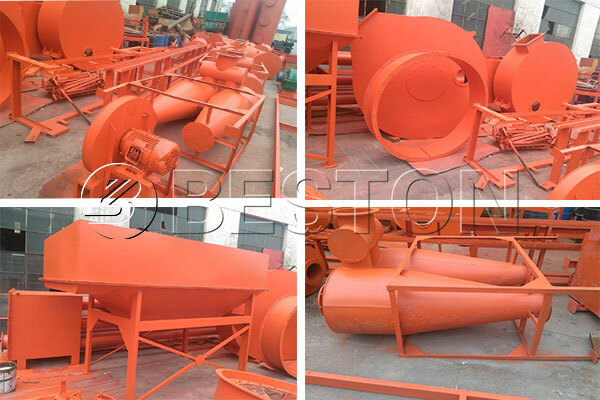 The biomass charcoal making machine manufactured by Beston Machinery has also enjoyed a great reputation than other charcoal making machine suppliers for its perfect performance, affordable price, lower energy consumption and better after-sales service. In short, the process of making charcoal from biomass can be concluded into four major steps: high temperature carbonization, flue gas volatilization, sulfur releasing, charcoal enrichment. As we all know, the moisture and size of raw materials will affect the quality of end products. Thus at first, our biomass carbonizer machine is equipped with the pretreatment devices – dryer and shredder, which guarantee the moisture of biomass should less than 20% and size is smaller than 50mm; after this step, the biomass will be delivered to carbonization furnace by belt conveyor to have a high temperature carbonization; at the beginning, we will use traditional fuels such as coal, wood or natural gas to provide heating for the furnace, which will last for 30 minutes; when it reaches the related temperature, the raw materials in the furnace will generate combustible gas, which can provide heating for the furnace or dryer instead of coal, wood, or natural gas, which is the reflection of one fire with two steps; the residual materials in the furnace which is called artificial charcoal will be collected directly after cooling; and then the combustible gas will enter the condenser system through the purification of spray deducting system and cyclone deducting system to remove the harmful components – sulfur; in the condenser system, the combustible gas will be liquefied into tar and wood vinegar, which will be collected in the different tanks. 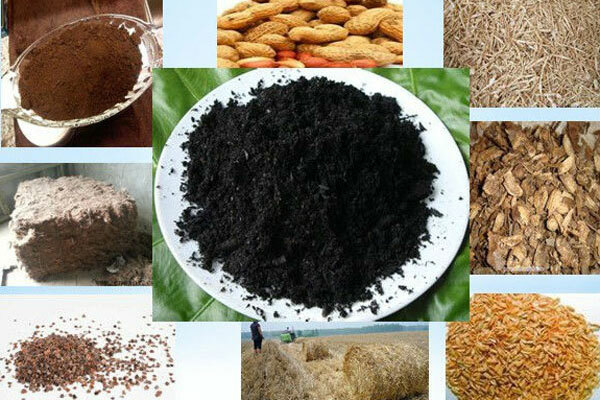 Finally, the biomass is turned into four kinds of resources, including charcoal, combustible gas, tar and wood vinegar, which can be said that it has fully achieved resource recycling. 1. In addition to the stable operating performance, the advanced technology of one fire with two steps is also worth mentioning. The technology of one fire with two steps is the domestic initiate in the whole industry. The combustible gas generated in the furnace during the carbonization process can will be processed by the spray dedusting system and condenser system. After that, the combustible gas will be recycled by the draft fan to heat furnace and dryer, so as to reduce energy consumption and save more cost. 2. In addition, through a series of dedusting systems, the whole process can meet the EU emission standard. 3. Carbonizing furnace is a cure part in the whole set of carbonization plant. Our furnace has introduced the double-layer design, which can raise the heat utilization efficiency and increase production yield to create more economic benefits by heating the bottom of furnace. 1. The biomass carbonization plant adopts one fire two step method, which is the unique technology in the world. It can make the lower part of the machine contact with the hot air thoroughly, thus increasing heat utilization efficiency. 2. In the production process, there will generate some combustible gas, which can be transported by the fan to heat the carbonization furnace to save much energy. 3. For the mainframe of the plant, we adopt variable-frequency and variable-speed motor, which can adjust the rotate speed of the barrel according to material’s size, moisture and other factors at any time. 4. There is only one hot air source in the whole operation process, which will save lots of cost for clients. Because of the well development prospects of biomass carbonization plant, more and more customers are willing to invest in the project. 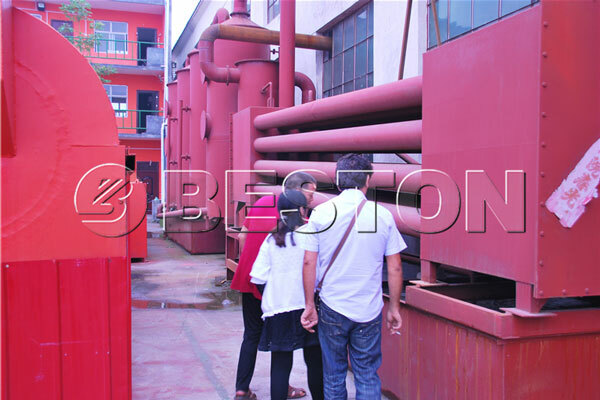 As a professional charcoal making machine supplier & manufacturer, Beston Machinery has export products to many countries and has won much praise and reputation in the international market. We are looking forward to opening more new markets! Welcome to Beston Group for cooperation!